Bootstrap by Twitter is licensed under the MIT license. jQuery Simple Slider is created by James Smith and licensed under the MIT license. WebGL is designed by Khronos Group. KK Countdown jQuery plugin is created by Krzysztof Furtak and licensed under the MIT license. Vagtur font is created Simon Becker with kind support by Sabrina Ekecik. "Ballicons 2 Icon Set" by PixelBuddha is licensed under the Attribution license (CC BY 3.0) ⁄ Changes were made. Classie.js by Daniel Eden is licensed under the MIT license. Audio Player is created by Alex Permyakov and licensed under the MIT license. jQuery and jPlayer are licensed under the MIT license. Font Awesome is created by Dave Gandy and licensed SIL Open Font License. Font Awesome icons are created by Fonticons, Inc. and licensed under he Attribution licence (CC BY 4.0) ⁄ Colors were changed. Flat browser PSD is created by Yourı Klijn. "Cafe boursault" by milo is licensed under CC BY 3.0 ⁄ Changes were made. "Parisian cafe 02" by volivieri is licensed under CC BY 3.0 ⁄ Changes were made. "Café parisien ambiance Paris" by beman87 is licensed under CC BY 3.0 ⁄ Changes were made. "Fryers Forest Dawn long version" by kangaroovindaloo is licensed under CC BY 3.0 ⁄ Changes were made. "Trains of the Yamanote Line" by S. Dedalus is licensed under CC BY 3.0 ⁄ Changes were made. 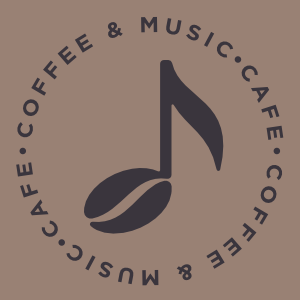 "Cafe Brazil Walla" by AshFox is licensed under CC BY 3.0 ⁄ Changes were made. "Restaurant chatter.wav" by Kyster is licensed under CC BY 3.0 ⁄ Changes were made. "Chasing Clouds" by TheWorkingBamboo is licensed under CC BY 3.0 ⁄ Changes were made. "quiet forest with frogs and birds" by psnflute1984 is licensed under CC BY 3.0 ⁄ Changes were made. "Restaurant_02.wav" by Suprasummun is licensed under CC BY 3.0 ⁄ Changes were made. "Waves on a sandy beach.wav" by juskiddink is licensed under CC BY 3.0 ⁄ Changes were made. "Notification Styles Inspiration" is created by Mary Lou (Manoela Ilic) from Codrops. Huge thanks to Codyhouse.co for the code and inspiration. Stretchy Navigation is created by CodyHouse and licensed under the MIT license. "Secondary expandable navigation" is created by CodyHouse and licensed under the MIT license. "IOS 9 siri wave curve animation with html5" is created by Radiomyme. "rbh thunder_10.wav" by RHumphries is licensed under CC BY 3.0 ⁄ Changes were made. "Rain.wav" by inchadney is licensed under CC BY 3.0 ⁄ Changes were made. "rbh thunder storm.wav" by RHumphries is licensed under CC BY 3.0 ⁄ Changes were made. "rbh thunder_13.wav" by RHumphries is licensed under CC BY 3.0 ⁄ Changes were made. "rbh thunder_07.wav" by RHumphries is licensed under CC BY 3.0 ⁄ Changes were made. "rbh thunder_05.wav" by RHumphries is licensed under CC BY 3.0 ⁄ Changes were made. "rain_constant_thunderinmiddle01.ogg" by aesqe is licensed under CC BY 3.0 ⁄ Changes were made. "Heavy Rain in the Night on Roof and Window" by DrZoom is licensed under CC BY 3.0 ⁄ Changes were made. Huge thanks to Lucas Bebber from Codrops for the code and inspiration. Huge thanks to Chris Coyier from Css-tricks.com for helpful articles. Huge thanks to Mary Lou (Manoela Ilic) from Codrops for the menu code and inspiration. Hint.css version 2.3.2 by Kushagra Gour is licensed under the MIT license. "Now UI Kit" is created by Creative Tim and licensed under the MIT license. "Aspen tree in strong wind.wav" by juskiddink is licensed under CC BY 3.0 ⁄ Changes were made. "Brushing Tapping Scracthing Clicking and Whispering" by Ephemeral_Rift is licensed under CC BY 3.0 ⁄ Changes were made. "Rainy Day Drive To and Walk In The Woods WAV" by Ephemeral_Rift is licensed under CC BY 3.0 ⁄ Changes were made. "Bonfire.wav" by juskiddink is licensed under CC BY 3.0 ⁄ Changes were made. "The Gift - WAV - audio performance with scratching tapping whispering gibberish footsteps and more" by Ephemeral_Rift is licensed under CC BY 3.0 ⁄ Changes were made. "Sound Journeys 4: Typing a Letter with an Olivetti Underwood Lettera 32 Typewriter" by Ephemeral_Rift is licensed under CC BY 3.0 ⁄ Changes were made. "RainHittingYurtRoof1.wav" and "RainHittingYurtRoof2.wav" by daveincamas is licensed under CC BY 3.0 ⁄ Changes were made. "dressmaker 140201_0037.flac" by klankbeeld is licensed under CC BY 3.0 ⁄ Changes were made. "CatPurring2.wav" by HerbertBoland is licensed under CC BY 3.0 ⁄ Changes were made. "real barbershop haircut at Mundo Peludo.aif" by bpayri is licensed under CC BY 3.0 ⁄ Changes were made. "snowflakesXL umbrella 130214_01.flac" by klankbeeld is licensed under CC BY 3.0 ⁄ Changes were made. "stream2.wav" by mystiscool is licensed under the Attribution license (CC BY 3.0) ⁄ Changes were made. "Morning in the country.WAV" by inchadney is licensed under CC BY 3.0 ⁄ Changes were made. "20121112 TU Delft Library, ground level - general ambience.wav" by el_mar is licensed under the Attribution license (CC BY 3.0) ⁄ Changes were made. "20121112 TU Delft Library - general ambience from high stairs.wav" by el_mar is licensed under the Attribution license (CC BY 3.0) ⁄ Changes were made. "20121112 TU Delft Library - general ambience from upper level.wav" by el_mar is licensed under the Attribution license (CC BY 3.0) ⁄ Changes were made. "20121112 TU Delft Library, ground level - ambience at computer area.wav" by el_mar is licensed under the Attribution license (CC BY 3.0) ⁄ Changes were made. "20121112 TU Delft Library, ground level - ambience close to information desk, voices.wav" by el_mar is licensed under the Attribution license (CC BY 3.0) ⁄ Changes were made. "20121112 TU Delft Library, quiet study room - general ambience.wav" by el_mar is licensed under the Attribution license (CC BY 3.0) ⁄ Changes were made. "texting.wav" by ondrosik is licensed under the Attribution license (CC BY 3.0) ⁄ Changes were made. "Air Conditioner intake" by stiffman is licensed under the Attribution license (CC BY 3.0) ⁄ Changes were made. "20070517.chalkboard.writing.wav" by dobroide is licensed under the Attribution license (CC BY 3.0) ⁄ Changes were made. "city hum night 160505_00.wav" by klankbeeld is licensed under the Attribution license (CC BY 3.0) ⁄ Changes were made. "Another Crowd" by Tobiasz 'unfa' Karoń is licensed under the Attribution license (CC BY 3.0) ⁄ Changes were made (edited with an audio editor). "Crowded Venue" by Tobiasz 'unfa' Karoń is licensed under the Attribution license (CC BY 3.0) ⁄ Changes were made (edited with an audio editor). Tone.js is created by Yotam Mann and licensed under the MIT license. "Gray noise" is created by Omegatron. Changes were made. User's page. "Purple noise" is created by Omegatron. Changes were made. Attribution-ShareAlike 3.0 Unported license. Magic Gradient is created by Oliver Turner and licensed under the MIT license. Slime is created by yoichi kobayashi and licensed under the MIT license ⁄ Changes were made.